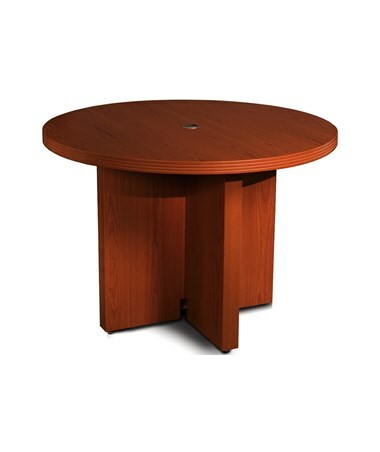 Offering a full range of quality office furniture, the Mayline Aberdeen Series 42-Inch Round Conference Table is guaranteed to satisfy every taste, space, and budget. 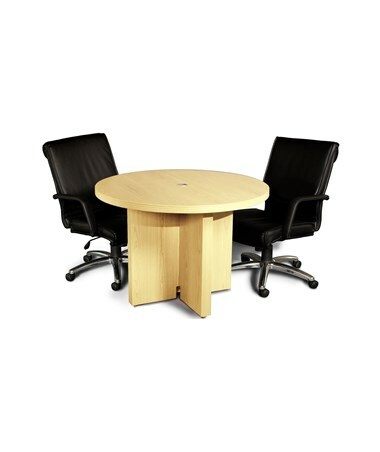 Having a diameter of 42 inches and 1-5/8 inches thick work surface, it provides a wide working space to utilize. This boat-shaped conference table accepts power module for data access to operate computers and presentation equipment during meetings and conferences. 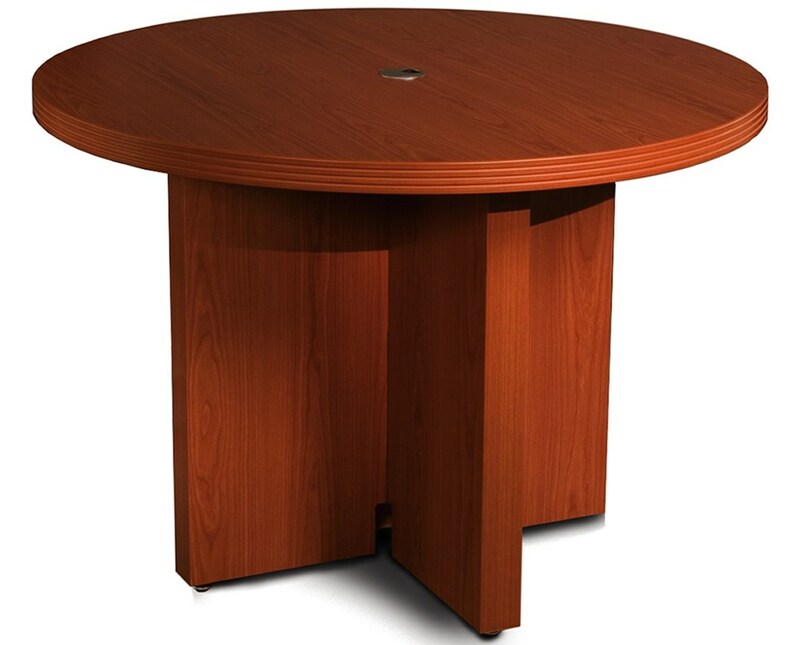 Featuring a hollow core construction, this table has one round grommet. 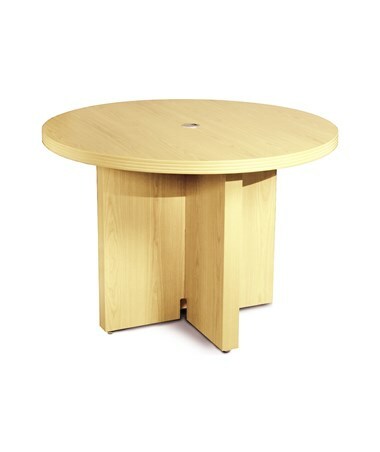 Also, its legs come with a cable chimney for concealed cable management from surface to floor. The Mayline Aberdeen Series 42-Inch Round Conference Table comes in four colors - Maple, Gray Steel, Cheery, and Mocha.